Hello, and welcome back to The Blogger Genius. Today, my guest is MiloTree community manager and my good friend, Paula Rollo. Paula heads up our affiliate program. 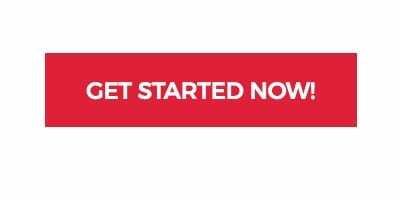 If you want to sign up for our affiliate program where we pay $20 per conversion, just head to MiloTree.com, scroll all the way down to the bottom of the page, and you’ll see a link for our affiliates to join our program. Today, Paula and I are talking all things Instagram — Instagram in 2019 and what you need to know. We spend a lot of time talking about engagement and why that’s so important, and how to grow your engaged followers (not just any followers). We also look at Instagram from a variety of different perspectives, and talk through how you could use it for your business. And hopefully, this will get you very clear on what you want to get out of Instagram. And it’s not just because everybody else is on it, but how can it help you. So without further ado, I bring you Paula Rollo. Paula, welcome back on the show. Thank you for having me again. I’m excited to be here. I love these conversations. And today, we decided we were going to talk about Instagram, because Instagram is the platform right now that people talk about, want to be on and want to grow. Yeah, absolutely. It’s the “beast of the day”. It is the beast of the day, yes. I feel like a few years ago, we would have been having this conversation about Facebook. And that is… obviously, Facebook is still a thing, but Instagram is really the platform that I’m getting more brands asking about. I’m getting more engagement, more excitement, more traffic. All of those things are happening on Instagram right now. Absolutely. Facebook feels so 2016. It does. And I’m still on it, but it does. It just doesn’t feel the same fresh, exciting life that Instagram does. Absolutely. So before we press ‘record’, before I press record, we were talking about what really matters on Instagram today and how growing followers on Instagram isn’t as easy as, say, it used to be. Absolutely. It’s one of those things where we think about like, Instagram, we know Facebook owns it and they’re just against us and they just want to make life hard for us. Or they just want our money through our business, so obviously they want our money. But why do you think it is that they’ve made it so difficult to grow on Instagram now, where it used to be relatively easy. This isn’t something that was a mistake. They’re doing this intentionally. So I really want to get to what the purpose that Instagram itself as an entity has behind some of the difficulties we’re facing in 2019. I would say that like all platforms, and we’ve talked about this, Instagram has gotten really smart. So their little AIs and their algorithm has gotten incredibly granular, incredibly intelligent; and what their goal is, is to serve up the most engaging content they can. And therefore, what they want to do is serve you the content that you want to see, because what is their goal? To keep you on the platform. So it’s no longer that, you know, you’re going to see a hodgepodge of stuff. You’re going to see stuff that you actually have engaged, you know, stuff that’s similar to what you’ve engaged with in the past. And therefore, I would say engagement is king on Instagram. Tell me your deepest, darkest desires. And just by liking stuff, commenting on stuff, they can tell how long you are on a post before you scroll. I mean, it’s a little creepy, but it is true. And so if you are a publisher, if you are a content creator on Instagram, you need to be thinking about your audience. And it’s not about your overall, just general follower count. It is now about engaged followers — followers that are aligned with you. So it’s a different mindset. Yeah, I remember Facebook going through this algorithm change as well a couple of years ago. Was it like 2016 where suddenly they weren’t showing things in real time anymore. Suddenly, it mattered what we were clicking ‘like’ on. There wasn’t even a heart button at that time. What we were clicking on, what we were commenting on. And it feels like Instagram in its own way is going the same direction of having 2000 people follow you, or the equivalent of 2000 people liking your page on Facebook who don’t actually care about you. They’re just to ‘like’, they’re just to ‘follow’ — is actually hurting you now instead of helping you. I would agree with that. I would agree with that, in that everything that you’re doing on Instagram, again, Instagram is, is tracking, is looking at. So for example, you want to be… it’s not just who’s following you; who you’re following also matters because these are all signals to the algorithm. So what my recommendation always is, is let’s say that you are a food blogger, right? You want to be following not just — here’s the thing — not just food bloggers. But if you can find an audience of people who are interested in food, you want to be following those people too. Does that mean that it’s bad to follow like 900 family members or friends from high school? Like where do you draw the line as far as like percentages goes of things that I’m interested in? I really like Harry Potter. Can I not follow all my Harry Potter pages? Or is it just kind of like, all things being equal, I have more people that I’m following in my niche than I do on my just personal interests. I would have more moms, people who would be interested in your content, because again, these are signals. And the muddier your signals, the more confused Instagram is about who you are as a content creator. I was going to say go follow Harry Potter on your personal account. But I wouldn’t necessarily do it on your business account. And that’s just fascinating to me because I feel like a few years ago, the recommendation was don’t have a personal account, share your real Insta life on your business account to be authentic. All of this stuff, because that was like the flavor of the day was like this slightly less polished version of your best self. And a lot of bloggers I think at that time moved away from having a personal account, and they just had their business account. So it’s interesting that now maybe things are shifting in this other direction where it could be really beneficial to have that business account and then a different personal account is what I’m hearing. Absolutely, absolutely. Again, we talk about this a lot, which is if you are a lifestyle blogger, I would say on Instagram, you figure out what content of yours is doing the best. Maybe it’s travel, right? And maybe it’s not just travel. Maybe it’s that you take your family to Disney World, and that was huge for you. And then I would be like, you know what, I need to book another trip to Disney World, just because the signals, so you were giving signals to Instagram but our audience is giving signals to us. And we want to be where they are, what they want from us. And we want to weirdly go deeper and deeper into that. So we have to be just as creepy as Instagram. I kind of do. And I would use the word, instead of creepy, ‘intentional’. Intentional. And this is why also I wanted to talk about MiloTree, for example, and how MiloTree fits perfectly into this strategy. And what I would say is, remember, you put MiloTree, your MiloTree Instagram pop-up on your blog. So this is for bloggers who have traffic. They’ve got traffic to their blog or their site, because what MiloTree does is it takes your visitors and turns them into followers. So it needs visitors in order for this to work. And what it does is somebody comes to your site, and it pops up and it shows your most recent posts on Instagram in your feed. And it will say ‘follow me’ on Instagram. And why this is so valuable is because you are capturing people who have already been on your site, liking your content. And these then, if you can turn, convert these people into Instagram followers, chances are, these will be your best, most engaged Instagram followers. And they know who those followers are who are engaging, and they will then show your content to a similar audience, especially in like the Explore tab. Right. Which would just be gold to get on that Explore tab. Absolutely. And so that’s why again, so you don’t want to be buying followers from Russia. In fact, that can hurt your account. Right. Because those people are never going to engage. And in fact, I’m thinking about going back through Catch My Party and we have a ton of followers. But because we have a ton of followers, we don’t necessarily… they’re not all engaged, and actually like getting rid of some of the least engaged followers. Because Instagram is reading that as “Oh, wait a second. There are a lot of followers here, but they’re not all engaging.” I would prefer, you know, a page. If I were to start a page today, I would be very conscious of how engaged my audience is. Yes. Well, and it’s interesting, just watching the pattern from Facebook as well, because I’m seeing such similarities and it’s moving parallel to the algorithm switch that Facebook did a few years ago. And I remember a point in time came where I kicked off, I think over 1000 people for my Facebook page. And they were spammy accounts. It was like some random old man in Iraq. And that’s just like, why is he following my mom blog? That doesn’t make sense. And I was blocking countries and I was just like forcing people to unlike my page and things like that. Because what had happened was I had never bought followers but the the way that click farms work, and it’s the same for Instagram followers, click farms is that in order to not get caught as “spammers” like, say, blogger one decides to buy some Instagram followers. And they can’t just go follow blogger one’s page without following some other pages to be sure that they don’t get caught as spammers. And so you can actually have your account be looped into one of these things and pick up all these followers that are paid followers that you never paid for. But it makes your account look really spammy, because you just got lumped in with some people who were behaving in spammy tactics. And you’ll notice if this happens to your site or to your account because you’ll see like all of these really weird, not-relevant-to-you followers coming through, but it’s worth it to just deny those followers or to block them, even though your number will go down because they’re just going to be dead weight. They’re never going to log in and like your content, they’re never going to even probably be on that account because it’s a robot. You want to get rid of them. Absolutely. All of this information goes into the algorithm. So let’s talk let’s talk about then ways to create an engaged audience. Yes. I have questions here. Because I hear a lot of chatter about being engaged to yourself first, to use it, you being the ideal Instagram user. Because that will then be what you attract, because Instagram will see you, you’re on the platform for that like bachelor quote “right reasons”. So how do you engage effectively on Instagram, because honestly, it feels like a waste of time. It feels like, I’m just gonna go comment on these people’s stuff and that’s not really going to mean anything, that’s not going to get me 20 followers. So what is that really doing? What is that signaling so that can feel like less of a waste of time? Okay, well, the first thing is that it used to be and we used to do this too, is we would put in our hashtag, like for like, or L for L, or all of that stuff. And I don’t necessarily, I don’t recommend that. I don’t believe that Instagram will go, Oh, you know, we’re going to ding this account if it’s out there, you know, looking for followers. Like, follow for follow — that kind of thing. Or like for like. I don’t. But I think that it isn’t where you want to be today. What you want is, again, a more direct connection. So if there is an account that you really like, I would DM them and I would just say, Wow, I really like your content or I really liked this post, or whatever it is. So there are a couple ways to interact. One is to leave a comment and say, you know, This is cool. Yes, you could just kind of, let’s say, you know, put an emoji in your comment. But I really would go beyond that and just say something that is more intentional. Again, that seems to be the word. But also if it’s somebody that you really like or that you want to work with, or that you want to follow you back, I would DM them. I think the DM-ing now is the secret sauce of Instagram,. And by the way, this did not come from me. She figured this out herself is, she finds other slime accounts that she really likes. And she starts DM-ing and interacting with them. And slowly, and she will say, just to be upfront like “Hey, I really liked your page. You know, I love what you’re doing. Check out my page.” I don’t think she’ll say follow me back or anything like that. But she will definitely say check out my page. And guess what’s happening? She’s getting more followers. It’s really shocking to watch her organically do this. And every day, she is creating more content. She’s not just a slime ASMR person. She’s also cutting and using a peeler on soap. Now again, in terms of my argument, I would say see which is getting more engagement and kind of go toward the one that people seem to be responding to. But right now, so she’s got soap and she’s got slime. But she is intentionally reaching out genuinely to other accounts, and commenting like something specific and she’s getting traction. So here’s my question is, how do you do this without sounding spammy? Because we all get those literally robots will message me and be like you can tell it’s copy pasted. You can tell this person didn’t actually care about me at all. So what is it that she’s doing or that we could do that will make it not sound pre-scripted? Hmm, that’s a good question. I would say again, if you can talk about a detail, that is very helpful. Again, you don’t have to write paragraphs because we’ve talked about this in our last conversation about doing stuff that scales. One trick, or I won’t call it a trick, but one thing you could do is comment on leaders in your niche because people will see your comment in the comments section and maybe check you out. If you have like a an intentional comment that’s somewhat interesting, you might get followers that way and get seen that way. So don’t write the same comment that the person above you wrote or the person below will write. Do something maybe funny, maybe quirky. Maybe shout-out to something that this person does really well. Get yourself noticed. it’s almost like creating mini content on someone else’s, either in their DM or on their on their feed. It’s like pulling all of that creativity that you would pull to one of your own blog posts, one of your own Instagram posts, and then putting that into a DM, putting that into a comment. Because that comment is then going to reach you more than three or four of just like, “great post, love your pic,” type of comment, even though it took longer and you’re not going to be able to turn out 100 of those a day. Turning out one or two is going to get you a lot farther than 100 of those robot-like comments. Right. Remember where you used to post on somebody’s Facebook page? Do you do that anymore? I don’t even think that’s a thing anymore. Is it? People still do it to my page sometimes but I don’t personally do it. No. Okay. But remember, because it was a way to kind of have your content on somebody else’s page. Yes, and getting them to interact or see that was just huge. Where now, it’s just not as big of a deal. Right. So again, it is about the connection and it is about getting this larger audience to see you. And another thing, like, so again, you want to be in the Explore tab. And one easy way or one way that I found that I ended up on the Explore tab just by putting geolocations in my posts. Absolutely. And you can do it in your story, we haven’t even gotten to the difference between how I think about your feed or your stories. You can do it now in your story. And that’s how I ended up on the Explore page was by just tagging my location and I was in Austin. And you know, all of a sudden I was showing up in other people’s Austin… you know, who are in Austin in their feeds, you get to be very local. If you have a local business, definitely be both geotagging and hashtagging your posts with your location. In fact, I think there’s room and you’re not going to end up, if you’re like let’s say you make beautiful cupcakes, chances are your cupcakes aren’t going to end up necessarily in the Explore tab because that market is very saturated. But if you could make it again, niche down, where are your cupcakes located, where are you located. Yeah, because we have like Houston eats and kind of more specific, where you probably wouldn’t get just hashtag food showing up. But I literally go to restaurants based off of searching hashtag Houston eats. That’s how I pick where I want to go eat. Absolutely. So again, I think Instagram is when you start to think about it in a more narrow way, I think you end up having more success. Maybe you do too like you just said, one to five interactions a day because you don’t want to kill yourself and you don’t want to spend hours on Instagram. And also here’s the thing. Know your “why” on Instagram. Why are you there? Are you there because everybody else is there? Not such a great reason. That’s a lot of time for not a great return. But what you were saying and we found this, is brands want Instagram. But they are no longer just looking at your follower count. They’re looking at the engagement. Are you a blogger or entrepreneur whose traffic has taken a hit due to those ever changing social media algorithms? Have you heard that the real money is in your email list, but you don’t how to increase your subscribers? Do you feel overwhelmed with trying to grow your social media followers and trying to be in all places all the time? If any of these describe you, I want to share a tool that will increase your social media followers, grow your email list and bring in more traffic to your Shopify or Etsy store. Well, it’s called MiloTree. MiloTree is an app that my husband David built for our site Catch My Party. So when we began Catch My Party back in 2009, Facebook was sending us loads of traffic and we were growing like crazy. Well, that is until a sudden algorithm change had us scrambling. We knew that Pinterest was the best place to get more traffic. And so in 2015, David built a pop-up to grow our Pinterest followers knowing that the more followers you have, the more traffic to your site. Well, it worked immediately and it worked really well. In the four years that we’ve been using the MiloTreee app on Catch My Party, our Pinterest account has grown exponentially to over 1.1 million followers. And Pinterest now drives millions of page views to our site every single month. Then in 2016, we decided to roll out the MiloTree app to help other online entrepreneurs and bloggers. So we originally built our pop-up for Pinterest. But after seeing how effective it was for our own business, and hearing from hundreds of satisfied customers, we decided to expand the app to include not only Pinterest, but Instagram, Facebook, YouTube, Shopify, Etsy, and even your email list. MiloTree is easy to use. It can be installed on your site in under three minutes, even if you have zero design or technical skills. And as fellow online entrepreneurs, we understand the importance of site speed and staying in Google’s good graces. So MiloTree was built to be lightning fast and Google friendly. The MiloTree app is also customizable. You can focus on growing one platform at a time, or switch between several. The choice is yours. And we provide you with the analytics you need to decide which platform to focus on and what works best for you. Right now, you can get your first 30 days for free. Just go to MiloTree.com to sign up for your free trial. And don’t let anybody tell you that traffic doesn’t matter. It matters a lot. Whether you want to work with a premium ad agency, go after larger brand sponsorships, or simply have more people to market your own products to, your traffic must be growing. If you are not converting readers into followers and subscribers and customers, you need to change your strategy. Because if you keep doing what you’ve been doing, you’ll keep having the same results. MiloTree will get you the results you need. But it can’t help you unless you add it to your site. So take the first step today and head over to MiloTree.com and start your free 30 day trial. There are no contracts, you can cancel anytime. And as a bonus, once you sign up, I’ll send you valuable business tips each week to help you continue to grow your business. Also, if you have any trouble installing it, we’re here to help you. You can’t be everywhere all the time, so let MiloTree work for you. It’s fast, it’s easy, and it gets results. So what are you waiting for? Get your free trial today. Go to MiloTree.com. What are some examples of good effective reasons to be on Instagram? Because we know that until you have huge amounts of followers and like at least 10,000 followers, you’re not going to get much traffic from Instagram. So what are the kind of purposes that people can lean into for Instagram both under 10,000 followers and above 10,000 followers? Okay, so a couple things is having the swipe up sounds super awesome. Awesome. And you know, we have it for Catch My Party. And it’s cool. It’s definitely cool. But it’s not the be all end all, and it doesn’t drive a ton of traffic. It really doesn’t because it interrupts the scroll, it interrupts the experience of Instagram. Like, does this person really want to learn more? Okay, you know what I mean? And just think about your own behavior. How often are you swiping up? Yeah, very rarely. And even when I do, I just save it to read later. I don’t read it in that moment. Okay, there you go. So, I think there are other strategies that are even better than this swipe up. Like don’t be waiting till you get the swipe up to think that you can, you know, build a business on Instagram or that it can help grow your business. So, a couple things. One, working with brands. I think that that is a really important component. And again, engagement matters. If you haven’t checked out MiloTree, install it on your site and get 30 days free because growing followers is hard. And MiloTree will help you not only grow your followers but grow those really special, engaged followers. So that’s the first thing. And again, it used to be brands just cared about how many followers you had. And that’s why people and celebrities and big influencers were just buying them because who cares? And now, again, everybody’s getting smarter. It’s harder to cheat. Which is good for people. Authentic publishers, authentic content creators, that’s good news. So brands definitely. Two, I would say selling things whether it’d be affiliate sales like style, beauty, fashion bloggers have great success with being tastemakers and saying, Hey, you like my skirt? Here. You know, I can tag it and then you can buy it. And I can make affiliate income. And there are ways. So for Catch My Party, for example, we use something called link in profiling, that’s what it’s called. And every post, we post photos of people’s parties and we want the traffic. If you want to see more and what we do with our link in profile is we put a link into every post description. And if you go to our bio link and click it, you will then see every single post and and you can then click over to our site and it does drive a little bit of traffic. So first of all, it can drive traffic. Is it going to be a big traffic driver like Pinterest or SEO? Absolutely not. If you monetize just via traffic, the ROI, the return on investment won’t be that high. However, if you want to be building your brand, definitely Instagram is the place to be right now. And you look at the photos of the food. Yeah, because I can see what other people have eaten there, not just what the restaurant themselves posted. And then I want to eat it. Exactly, that looks good. So let’s say you have some sort of store or something like that, you become the adjunct to your website by having content on Instagram. So people get a taste, a real taste of what you are about. Also, if you sell a product, like notice my Instagram feed is filled with tons of products and a lot of them are sponsored content. Like oh, check out this new bra or this new suitcase or this new who-knows-what because it’s really good in that respect for selling a very specific thing. And this is something I think is really interesting. If you sell courses, even if you don’t have the swipe up, it’s a really good way to do that or you will have a membership site or you have certain like Etsy products or Shopify store. Because what you can do is you can post beautiful images in your feed, very curated images in your feed. And then you can do behind the scenes in your stories. And then you can put a personality to the brand to you and you can ask people to DM you. So I’ve seen this a lot and I think it’s been a very successful strategy. Which is, let’s say I have a membership site. I could be promoting it, talking about it in my stories. You get to know me and my life. Also, you get to see in my feed let’s say images of what it’s about and people who are in it and testimonials. But then what I can do is I can say, I’m going to give away a freebie. If you want this freebie, DM me. And then I’ll send you the link. And then you can personally send them a link to something, get them on your email list or give them a link to, you know, start a conversation with them and have a really high touch sales funnel. Yes. Because that’s not scalable, like you were saying, but that is making like we were saying last podcast, but that is making a way more dedicated fan than you would otherwise make because they had a personal conversation with you. You’re able to get feedback from them about what they liked, what they didn’t like. You could message them later and carry on the conversation again. And that’s a lot more powerful than a sales funnel that you’re completely disengaged from personally. Right. And Instagram has a feature where you can save your kind of canned responses. So that I can then send something… a lot of people will will DM me on Catch My Party and say, “How do I get my party displayed on your page? And I was typing this in over and over again. And I was saying, well, we only show off parties when people have added them to Catch My Party. We take the best parties and we show them on our Instagram page. And I would type this over and over with a link and some instructions. And finally, I realized oh, I could save that as a response. So now somebody can ask me this and all I do is call it up, click it and boom, there’s the response. And send it, and personalize it depending. But it makes interacting on Instagram much easier. Right. That person is still gonna feel like you took the time to answer their question because you did even if it was copy pasted. Exactly. So again, I think that also using some of the tools that Instagram gives you. Ask your audience in a poll how they feel about something. And I love the way you’ve done this, which is you’ll do something serious, like what are you struggling with in your business or something like that, but you’ll also do like, you know, something kind of goofy or lighthearted. Yes. And I like laughing when I look at Instagram Stories. So what do you respond to? What do you like? I like the funny ones because I’m on Instagram for fun. I know I personally will respond more if the answers aren’t just yes or no. If they’re like heck yes or no way, or something really creative that like I want to say that and it made me laugh. And so I’m going to click the heck yes are the what are you even talking about button. Just because it’s more interesting. It feels much more personal, even though it’s just as personal as a simple yes or no. But it makes me engaged for sure. Absolutely. And I think that what is interesting, and we know that stories came out of Instagram just ripping off Snapchat. However, I think it’s kind of brilliant. At first, I was really confused by it. I remember when Stories first launched, I was like, wait, what is this? Why do I have to go now over here when you got this feed and where do I hang out? And now I think it’s brilliant because you get both sides. You get the Insta-ness of it again, because Instagram took that away. And it was sad. And it used to be literally in stock. And now I’ll see something that my best friend, like my actual best friend posted three days ago. And I always engage with her, I always interact with her. She’s my best friend, obviously. But I missed things that she said because of the algorithm, where I never miss a story that I wanted to see. Right, right. And it’s funny, because as I tell you all the time, we’re in the process of like redoing our bathrooms. First of all, I’m looking at a tile. I live now to look at tile. And what I notice is maybe let’s say I’m on Pinterest, I find a tile and I click through and I end up on their website. I will leave their website very quickly as soon as I see there a link to their Instagram. And I will go over to their Instagram and I want to then see their tile. And what it will show is photos, usually very curated, very pretty of the tile in different scenarios. It might show a very pretty photo of somebody laying tile or, who knows, you know, but very pretty. But then I’m always so happy when there is a story, because it’ll be somebody talking about the tile or doing an installation. Like it’s not as pretty, but it’s more real. And so now I’ve gotten from Pinterest, to the website, but I’m not really hanging on the website. If I ultimately want to buy the tile or see where I can get the tile, I will go back to the website. But really, I’m now going at it like you’re going to Instagram for restaurants, I’m going to Instagram for tile. And I’m interacting with both the feed and the story. And so I think that what it can do is really flesh out you as an influencer, you as a publisher, you as a brand. And you get to see so much more. Like, did they really eat those pancakes? Or is she just talking about them? Even with food bloggers, you know, you kind of wonder, is this a stock photo or did she really make this recipe? But then when you go to the food blogger’s Instagram and you see the beautifully curated, could be stock photo again. But then you click again to her story and you see her literally in her kitchen with a skillet. And she probably has a messy bun and she doesn’t look great, and it’s not something you would put in a curated feed. But I can see like, Oh, this girl actually knows how to cook. She’s not like a me who Googled how to make muffins and then tried to put up a muffin recipe. This is someone who actually gets in her own kitchen and cooks and knows what she’s doing. So I can trust her recipe more than I can say BuzzFeed Eats or like Yahoo food, which could be anyone. And hasn’t everybody clicked on those like BuzzFeed videos of how you can fake whipped cream by using shaving cream and you post and you go “Oh my god?” Or how like the food stylist really make the food look good. And you go, Oh, I was cheated, you know? But I have thought in my head, oh, if ever I have to do a sponsored post or I’m making a recipe, I’m gonna pull out the shaving cream. And a lot of the times, I do this now with my own Instagram, when I am doing something for a sponsor, I will later, like a week later or two weeks later, do some sort of just low-key Instagram story of me using the product again, because I want people to know that I wasn’t just schilling. I want them to know that like this is something I use and I care about. I just did one for actually whipped cream or Reddi Whip rather. And we did waffles and we did all this stuff. And it was curated. It was cute. I had these big lights in my living room like it was ridiculous over the top. We don’t normally have stage lights at our living room while we watch Netflix. But that’s what the brand wanted. But then a couple of weeks later, I was showing myself eating Reddi Whip in my coffee because why not, right? But it was a little bit of just authentic. Like I happened to literally be doing that that day because we had Reddi Whip in the fridge and I wanted it on my coffee. But I thought this is a good chance to show my followers the real me. I don’t just have this because of a sponsored post or I really do eat Reddi Whip because that’s who I am. Yeah. But that’s just an extra way to kind of build that trust that I didn’t say, oh, I’m I’m using this because of my sponsored posts, but those who are paying attention know, like, Oh, she does eat Reddi Whip, oh cool. Like, I can trust what she says next time when she’s advertising for a brand because she’s really using this brand. Definitely. Now, do you watch people who go live on Instagram? And that is one of my recommendations, which is if you are doing a story, always put text. Always, you know, because I too am not listening. I think it matters a lot what your niche is for that because as a mom, it’s just not practical for me to try to drown out my kids with Instagram sound. But for even like fashion bloggers who are targeting like 22-year-olds who don’t have kids, they’re single, you know. Or even in a relationship, you see people on Instagram all the time when their significant other is sitting right there. If that’s your target audience, you could get away with a lot more sound of talking about how cute these shoes or whatever. Clearly, I don’t follow fashion bloggers, but I think that’s what they do. But you can get away with that because the audience, they have the bandwidth to listen. But moms do not have the bandwidth to listen to anything. We’re done. people have talked our ears off all day. That’s going to happen. Paying attention again to engagement, though, because it could be like that’s a general rule for moms. But it could be that you have a specific audience who’s like, No, I’m going to sit down and I’m going to listen to her talk on live, or I’m going to listen to her tips because I adore her. In fact I’ve noticed because I do follow a couple celebrities, celebrity moms, that they will typically put text as well. Which is so nice. I love it. I do too. Now, tell me, what is your experience with IGTV? I don’t do it at all. I don’t watch it. I don’t know. That annoys me. And even though, by the way, you can see that they are really pushing it. They are. Yeah, and I know that it’s a huge, you know, opportunity that I’m missing because it does give you the little pop-up. So and so just went live and things like that. It’s just not my personal wheelhouse. Because I also don’t do a lot of video. Video is not really my thing. And so I think that for bloggers who do do a lot of videos, or even bloggers who are trying to kind of convert their YouTube audience, that makes a lot more sense then for someone like me who my primary means of communication has always been written text. And it will always be written text, because that’s what I enjoy doing. So my daughter goes to YouTube for videos. I mean, she’ll watch stories, but she’s like, they just want to be YouTube. But in her mind, YouTube is already YouTube. Right? Except that the videos, you know, you have to then have a different orientation, shooting an IGTV video, which makes it more difficult and especially if you’re used to watching YouTube videos,and they are horizontal, like it’s just more. So it was interesting though. My 12-year-old daughter, who teaches me about Instagram, and watches a ton of YouTube, has not made the switch to IGTV, but finds a different use case for Instagram than for YouTube. So I thought I just had to share what the 12-year-olds are doing. Well, and it’s useful because you know that that’s what the social media platforms are watching. They’re not watching moms to figure out what direction they should go. They’re watching the 12- to 20-year-olds. And that they’re going to shape their platforms around how those users are participating in their platforms because that’s the future of media. Right. I agree. Okay, so it looks like just to recap, it looks like Instagram is the platform to be on. But do really think about why. And not just the answer of, “well, everybody’s on Instagram” isn’t good enough. Dig deeper and see because, again, as influencers, bloggers, content creators, time is our scarce resource as well as money. So really think about what you want to get out of it. If it is sales, if it is traffic, that’s tricky. If it’s brand work like those, you know, dig deep in terms of how you want to grow your business. And it’s fun. So don’t get sucked in just because. And, you know, an interesting exercise could be for this is just to take notes what you engage with this week. We’re trying to build engagement. I don’t pay attention to what I engage with like until you even ask me these questions about the polls, I wasn’t thinking about. You know, I really do interact with more polls that give me an interesting thing to respond to versus a yes or no. I’d never had that thought before, but it’s completely true. So ask yourself those hard questions of what what made me click on this, why did I like this picture but I didn’t like the one above. Why did I stop and comment on this picture when I’m just using it as a regular user when you’re not trying to build those strong engagement comments like we have been talking about. That’s a different thing. But really, take notes on yourself this week and think about why you engage the way you do and then how you could create content that would make you want to engage with it. Because if you don’t want to engage with it, your followers aren’t going to either. Absolutely. Then I would say be intentional about who you follow. Be intentional about who you reach out to. If you are a food blogger, reach out to people who consume your content, not just other food bloggers. Just up to you again, build that tribe, build those engaged excited fans. That will go a long way. Definitely install MiloTree, go do it right now. Go to MiloTree.com, install the MiloTree Instagram pop-up on your blog or site because it is one way where you can grow not just your followers, but your engaged followers. And this is for people who’ve got traffic, but want to take their business to the next level. And let me just throw in too like this is something, like I know when I’m listening to a podcast, and they give me something to action, I’m like, Yeah, okay, when I have a spare hour, which never happens, right, like nobody has a spare hour. It literally takes, I’ve timed it, two minutes to install MiloTree. So it’s free to start. Jillian gives everybody that free trial, and you can literally have it on your site within two minutes. And so there’s no reason not to like as soon as you get home when you pull over because we all listen to podcasts in the car, I feel like, go install it. Just make it happen and see, see what it can do for you in those 30 days because everybody I talked has seen great results. And I’ve seen great results from it. Yeah. And again, like we have a WordPress plugin or a simple line of code. If you have any trouble reach out to me at Jillian@Milotree.com. And again, what’s great is it’s already set to go. It connects to your Instagram account and it will show your most recent posts. So there’s no designing No, nothing. Just do it. And then when you go to bed tonight, guess what, you’ll be growing your your engaged Instagram followers. Yes, without slowing down your site too. Which is normally the downside of those, you know, embed your Instagram things. I used to have those and they made my site really, really slow. Which is why they’re normally recommended against. But MiloTree is a way that you can have that. Here’s your beautiful feed, you can follow me and your site will not suffer speed-wise for it. Which is great for SEO, great for user experience, all of those things. Yeah, we work really hard to make sure that it’s optimized like crazy. So definitely go. Don’t pull over or don’t do it while you’re driving. But definitely when you get home, go to MiloTree.com. Put it on your site. Let me know what you think. Because it does work. If you got traffic, I can help turn those people into raving fans. Awesome. All right. Well, this is so fun. I love this. By the way, you’ve made me really… I don’t know, inspired too as soon as I get off with you, when we finish this call to go check my Instagram. And look at what I’m liking and see why. Yes, me too. That is exactly what I was thinking. I want to see what I naturally respond to without even knowing that I’m responding. Like why and asking myself the question of well, why did I like that? Mm-hmm. Every time you do it, it’s so interesting. Yeah. Well, Paula, thank you again. I just love our conversations. And you’ll be back next month, and we’ll be talking about something else. 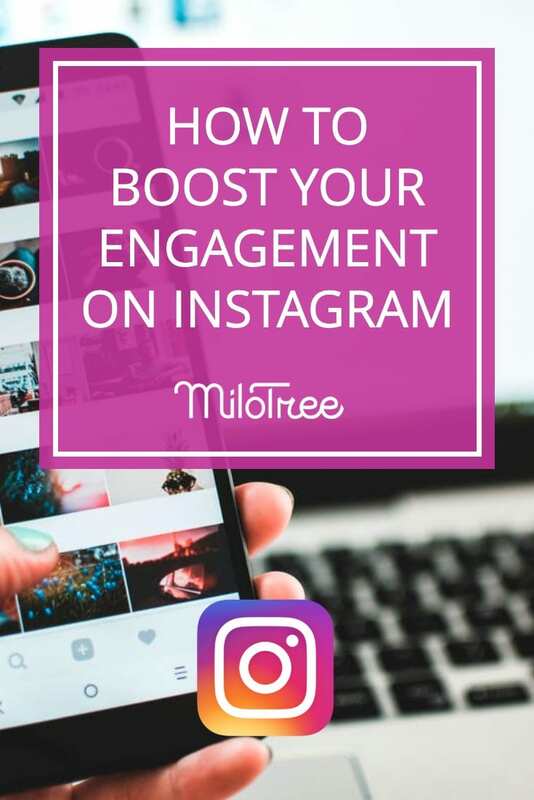 Now if Instagram is your jam and you’re not using MiloTree, I think you’re missing out on a really powerful tool to grow your followers and not just your followers but you’re engaged followers. I say head right now to MiloTree.com and you can set it up in in less than two minutes. Although I got an email today from Art and Soul Events who said, I quote, “Setting up MiloTree was easy peasy. Well I say to you, let the follows begin. Remember, head to MiloTree.com and get your first 30 days free and sign up, so you can grow your business too. If you’re looking for more followers, subscribers, and sales, MiloTree can help you do it faster and more easily than you are doing it now.